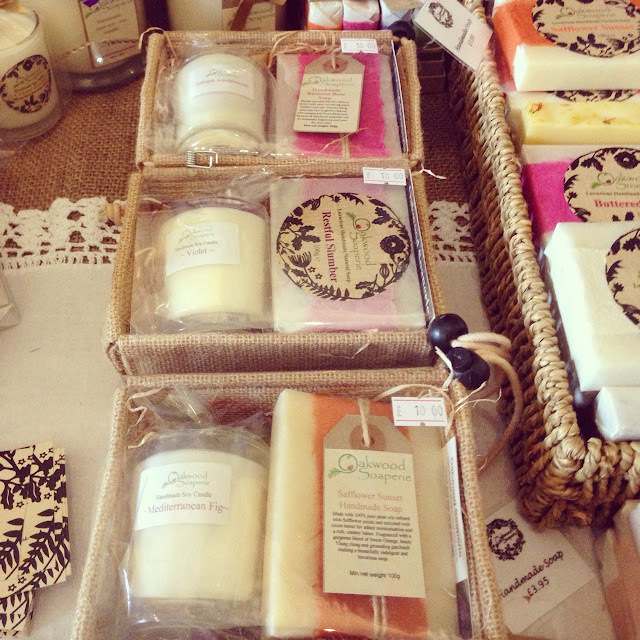 Today I want to share with you all the lovely 'Oakwood Soaperie', a bath and body care company which I came across this week, whilst I was attending a Summer fair at Brancepeth castle. 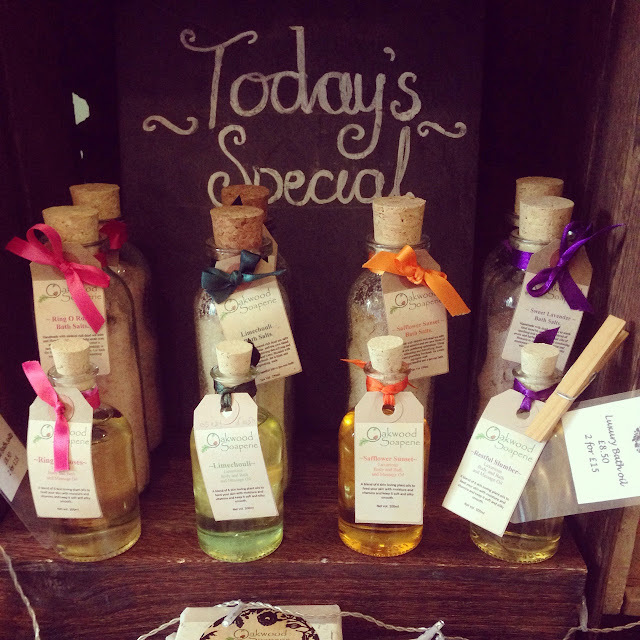 Oakwood Soaperie was established in 2010 by Ceri Aitman (who also makes all of the products which are available!) and is based in the heart of the North East countryside in the Gibside Estate. 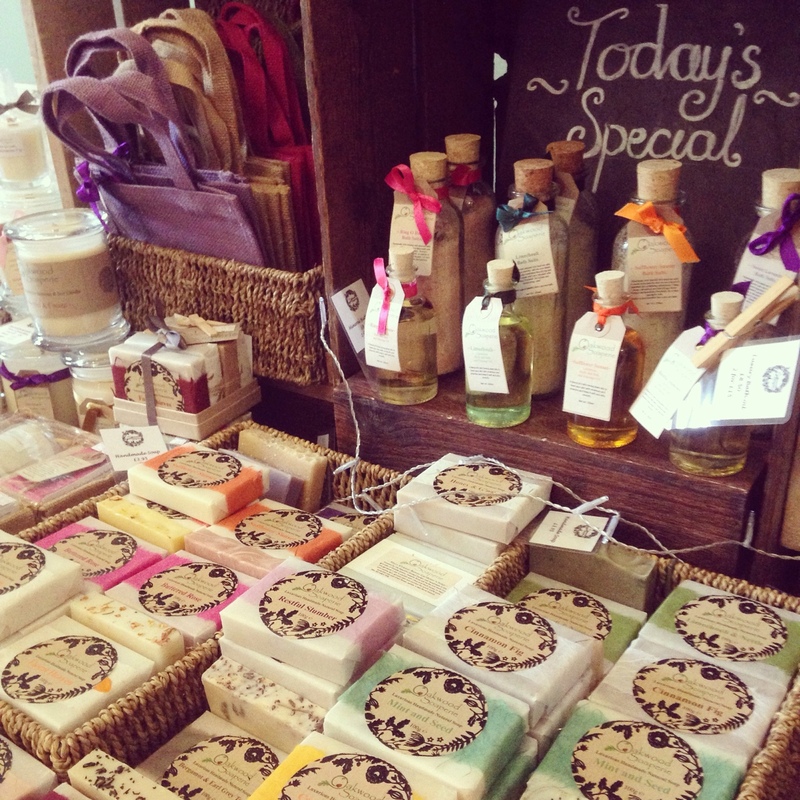 They have a wide range of super lovely, luxurious soap bars infused with natural plant fragrances and butters, bath oils and salts, as well as bath bombs and bubble bars to take your bath from relaxing, to sensationally relaxing and luxuriously indulgent! 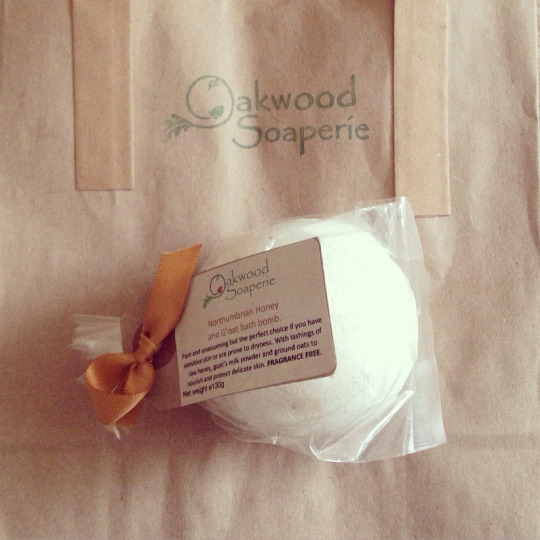 All of the products come wrapped in lovely recycled, handmade or waxed paper and adorned with ribbons and ingredients labels, which to me is a lovely finishing touch which makes all the difference. If you are looking for a nice gift for a friend/relative and are unsure what to get, why not check out Ceri's website here and get the prezzies delivered to your door! 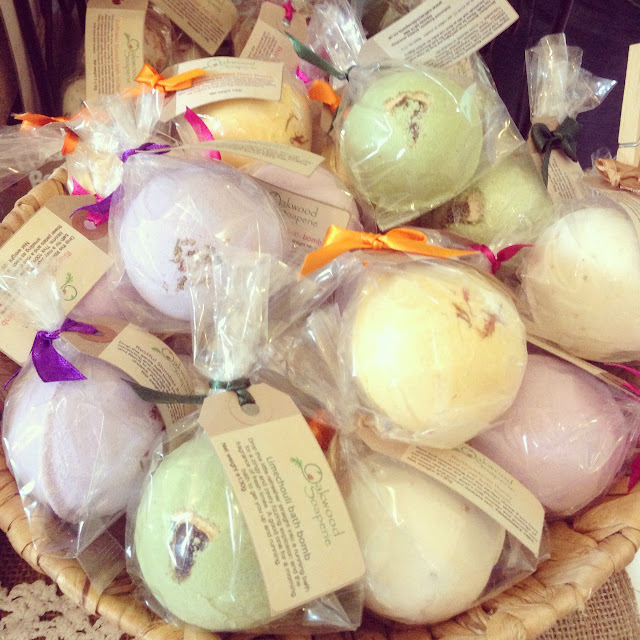 The soaps come in a wide array of fragrances, from 'Mint and Seed' and 'Cinnamon Fig', to 'Restful Slumber' which aids a good night's sleep! The soaps look and smell AMAZING, which is all down to the use of tip-top ingredients and Ceri's curing process which lasts between 4-6 weeks, to ensure the soaps are mild and kind to sensitive skin. 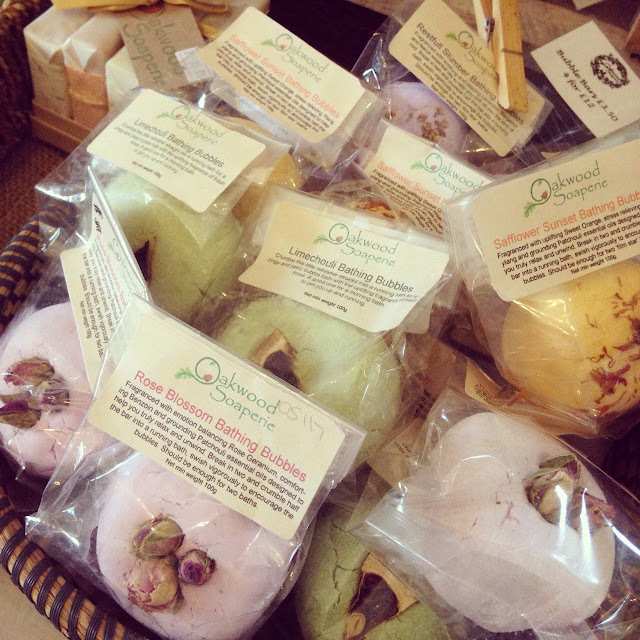 Another thing which I really like about Oakwood Soaperie is that it is an animal testing free zone, and many of the products are also vegan friendly, which makes it ethically good for everyone! 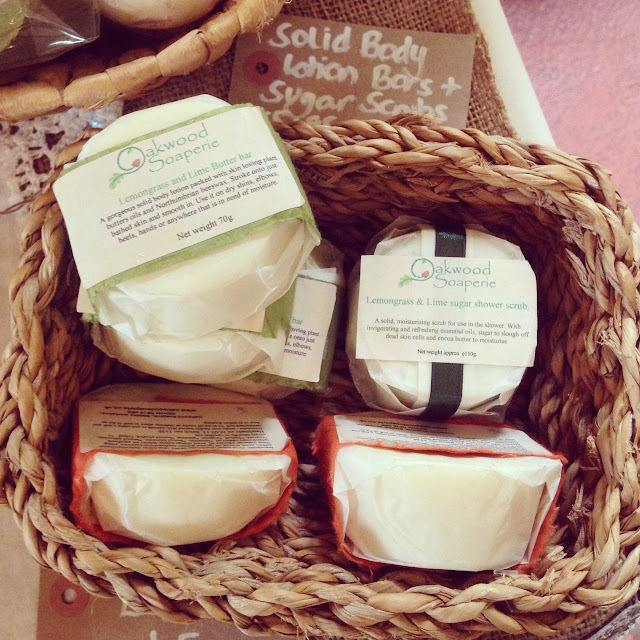 I don't know about you, but I had never heard of solid body butter bars until I saw them here and they sound great, ideal for holiday as it is small and compact, and will not leak either! Win, win! I bought a Northumbrian Honey, goat's milk and oat bath bomb which is ideal for sensitive skin. 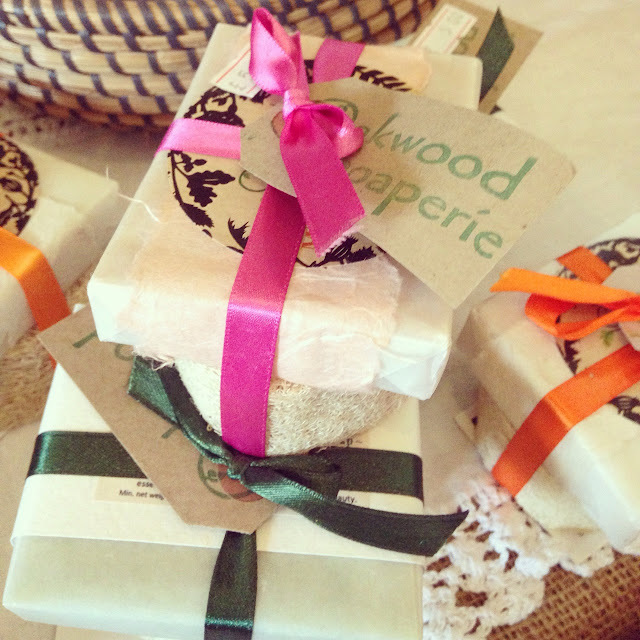 If you'd like to follow Oakwood Soaperie, you can on Facebook, Twitter, Pinterest and Instagram! There is even a blog! 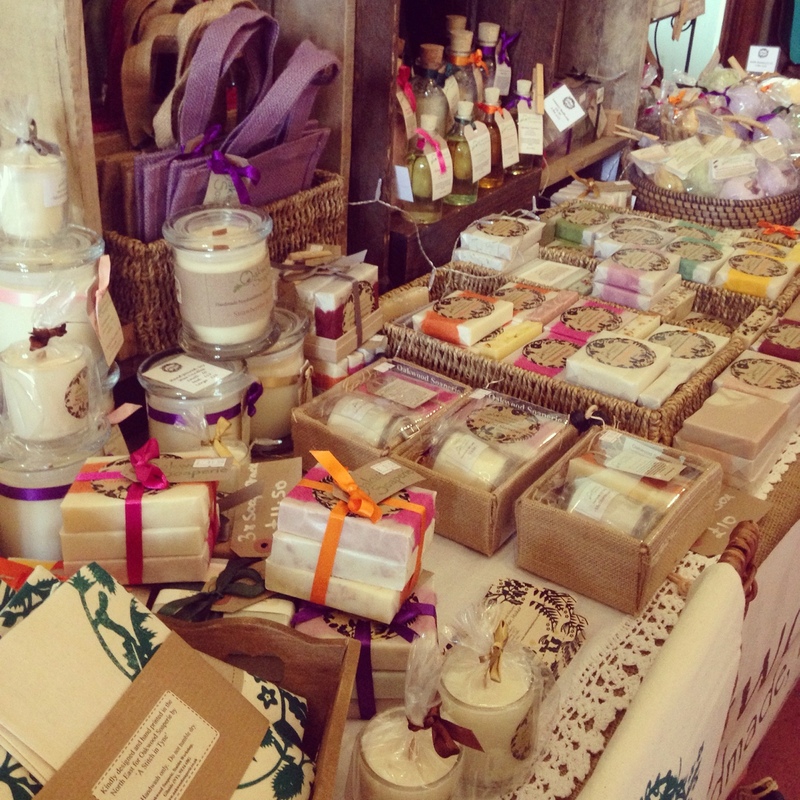 Be sure to check our Ceri's online shop - you might just find the perfect gift or treat for yourself!